Traveling through Chile is like visiting a dozen of different countries and it’s not an exaggeration and since there is so much to do and see in Chile you are going to find out about the best places to visit in Chile. The diversity of Chile comes from its geographical location. 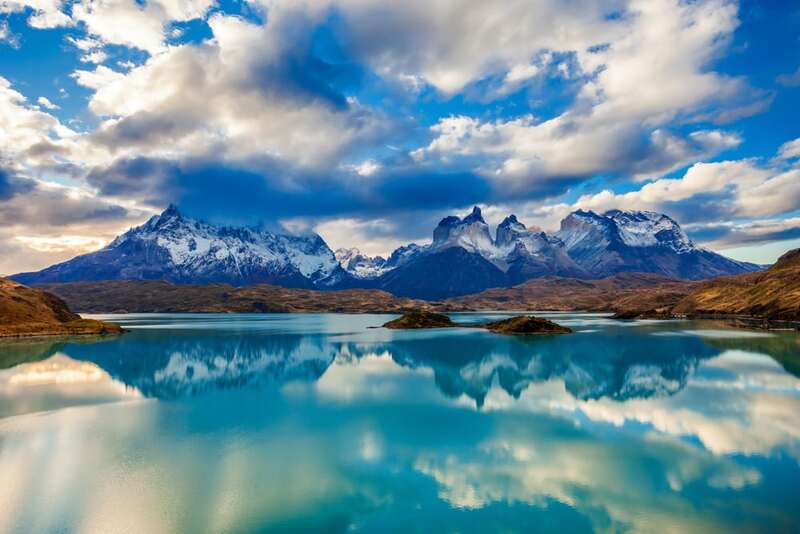 The country stretches from famous mountains of Torres del Paine park in the South to Atacama the driest desert in the world in the North, so Chile has so much to explore and discover for any kind of traveler. After 3 months of traveling through this amazing country, we fell in love with it and even named our dog Chile. Before naming the best places to see in Chile here are some reasons why to visit Chile and other important travel information for Chile. If you like hiking, Chile is a real paradise there are many trails and walk especially in the South of Chile and for most of them you don’t need a special permit, booking or guide just pack your backpack and go. Chile has an amazing and diverse nature; Atacama – the driest desert in the world, more than 100 volcanoes some of them are active, massive glaciers, hundreds of waterfalls and mountain rivers. For culture experience get to know locals their way of living, traditional food, music and history of the country. Chileans are very talkative after a couple of weeks in the country you’ll get a complete idea about it. Adventure lovers will find plenty of activities here from cycling along the Carretera Austral to paragliding in the desert and surfing in the Pacific Ocean. If you search for peace there are some great in-nature place in Chile for you; be it a cozy guesthouse in the Andes with a stunning mountain view or a fancy apartment by the beach. Power outlets – majority Type C (European standard), 220V. Public transport – easy to get around in the cities as well as long distances, the average price for a 6-hour bus ride 20USD. Accommodation – hostels are very common all through the country, prices start at 11USD per bed. In the Southern part, camping is the most budget option, from 6USD per person, you can find campsites almost everywhere. For traveling and hiking in Patagonia, you’ll need warm clothes, sleeping bag for 5C-0C, good water, and windproof tent (if planning hiking and camping), proper hiking boots, rain jacket. There are gear rental places in bigger towns, but the prices are quite high. 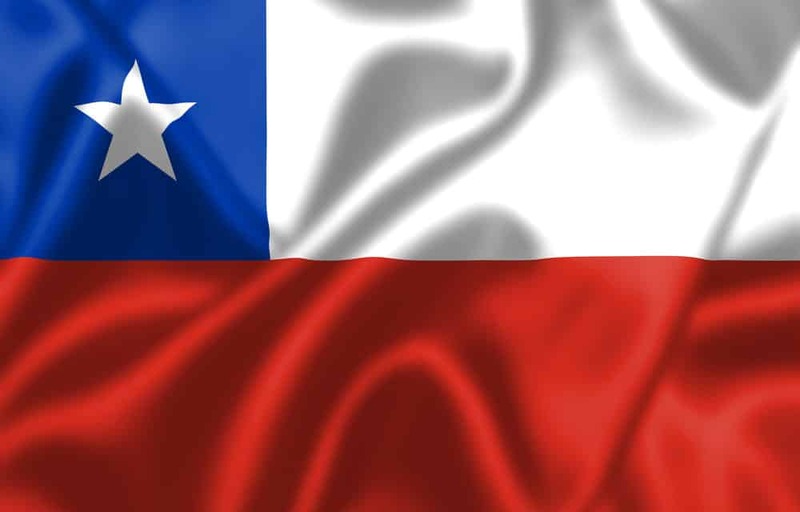 If you are wondering about when to go to Chile the answer is: As Chile is in the Northern hemisphere the best time to travel it between October and April, local summer. If you consider going south to Patagonia and do some hiking there, the best time for that specific area is November – beginning of December and end of February – March. Not because of the weather but due to holiday season from the end of December to mid. February university students have holiday and many of them head to Patagonia. If you’re a budget traveler it can be a problem too many people to compete for a hitch-hike ride or budget accommodation. For the Northern areas like San Pedro de Atacama, December is the peak season as well but most tourists here are foreigners you still face the same problem lack or budget accommodation and higher prices. Valparaiso is the most popular New Year´s Eve destination in the country if you don’t book a place beforehand you risk paying four times more or not to find a place at all. Chile is one of the safest and wealthiest countries in South America and one of the few I’d venture to hitchhike on my own as a girl (though we did it together with my husband). 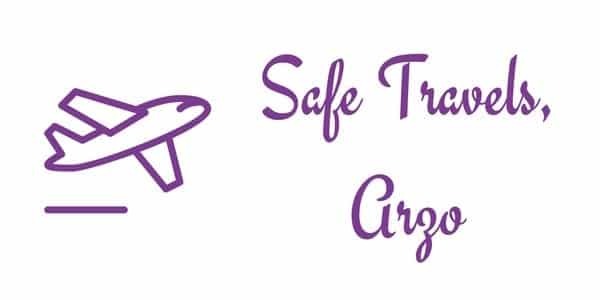 The only one place you need to take precautions is the capital Santiago de Chile, like in any other big city don’t walk late night in dodgy areas and don’t leave your belongings unattended. People in Chile was a highlight of our trip they are great, hospitable, generous and extremely helpful. You’re not a foreigner in this country you’re a guest even if you get into trouble you won’t be left without help. Hitch-hiking and couch surfing in Chile are amazing we never spend more than an hour waiting for a ride and always got a place even on New Year Eve when we started looking just two days before. Book Tours in Chile – if you like to book tours in advance you can use GYG – I (Arzo, the owner of the blog), use them regularly and totally love the booking system. 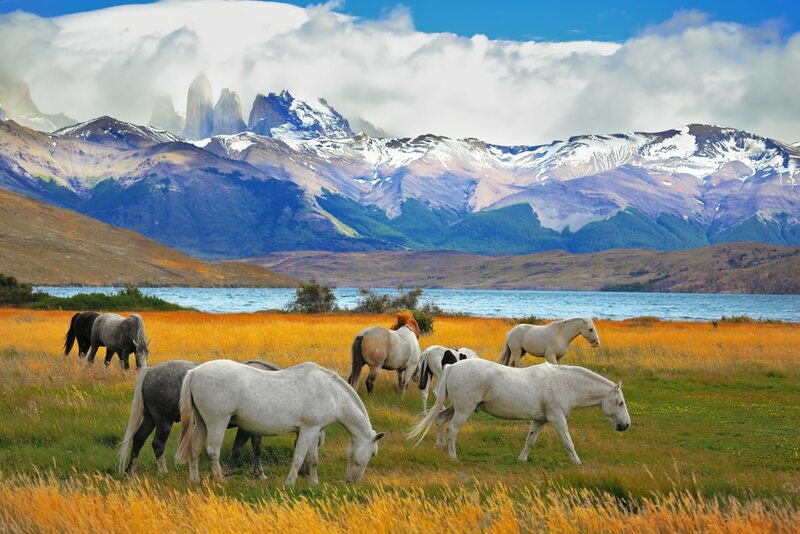 Click here to find Chile tours. If you are from the US you are probably more familiar with Viator and they have also some tours in Chile available. Click here to see different tours that can be booked via Viator. 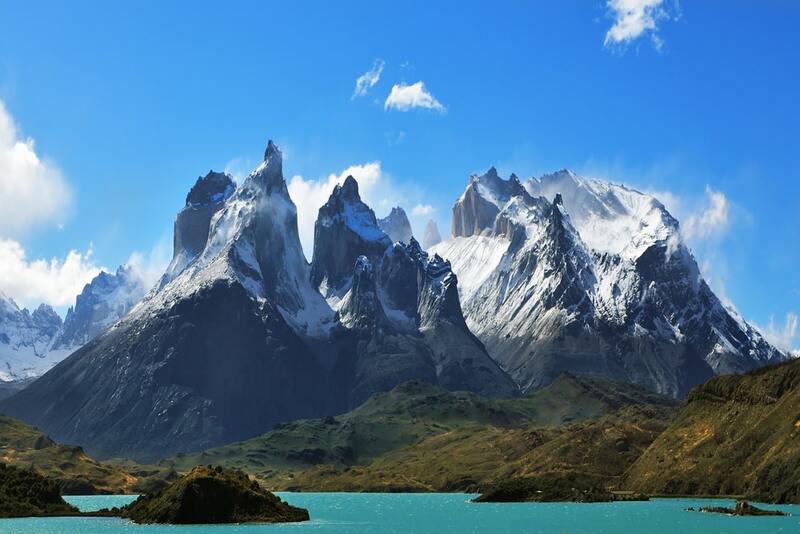 Torres del Paine is probably one of the most famous hikes in the world many tourists come to Chile just to do this hike. It can be overcrowded and too busy in season but It’s an amazing place with stunning nature and fantastic landscape – Patagonia is a place you must visit. The best way to see it is to do a O circuit route, a week hike, the trail goes around the park the way you see all its sights. The highlights of Torres del Paine; Las Torres (The Towers) three sharp peaks at Mirador Las Torres, a famous sunrise spot with “towers” turning orange-red when the sun goes up. Grey glacier a huge glacier, 270km2, starts on the top of the Patagonian Andes and “slides” down to Grey lake, the best view of it you get from John Gardner pass. Pehoe lake – a stunning turquoise lake surrounded by ice-peak mountains. If you’re a lucky one and like to start your day very early, you even have a chance to spot a puma here. The nearest town Puerto Natales from where you can take a shuttle but to the park. 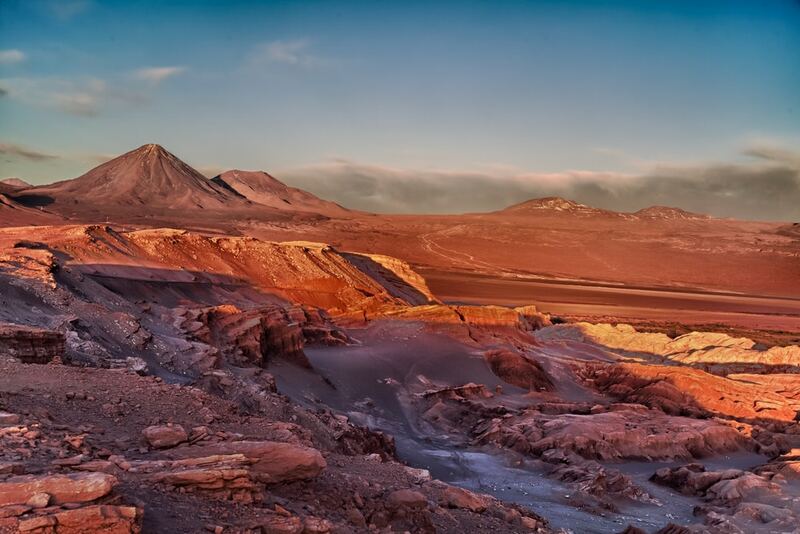 The Atacama Desert is known as the driest place on Earth with a landscape of a different planet. Atacama is more than just a lot of sand here you can find lagoons with hundreds of flamingos, geysers, salt flats, wired rock formations, natural labyrinth and incredible night sky… by the way, Atacama is one of the best places in the world for stargazing. A small town San Pedro de Atacama is a gateway to the desert, buses from different cities, including Bolivia and Peru, go there. Click here to read about more amazing deserts in the world. Carretera Austral is a road that goes through Chilean Patagonia starting at Puerto Montt and finishing at Villa O’Higgins. Carretera Austral has a total length of 1240km. 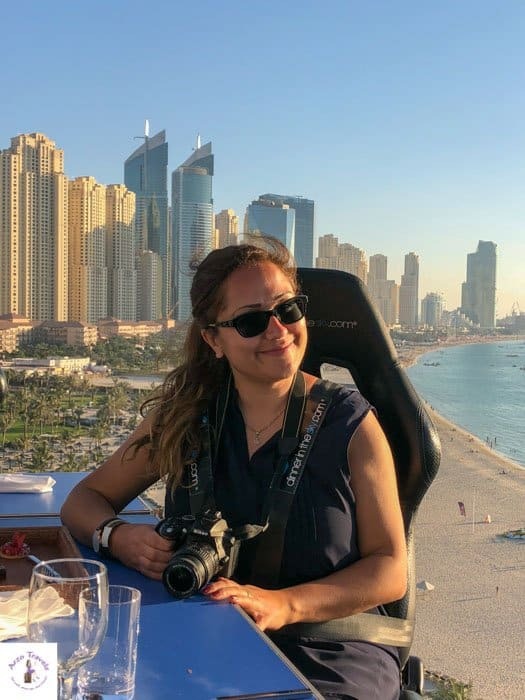 There are different ways of traveling it from renting a car (the most expensive though the easiest way) or moving by buses to hitch-hiking or for the most adventurous cycling it. 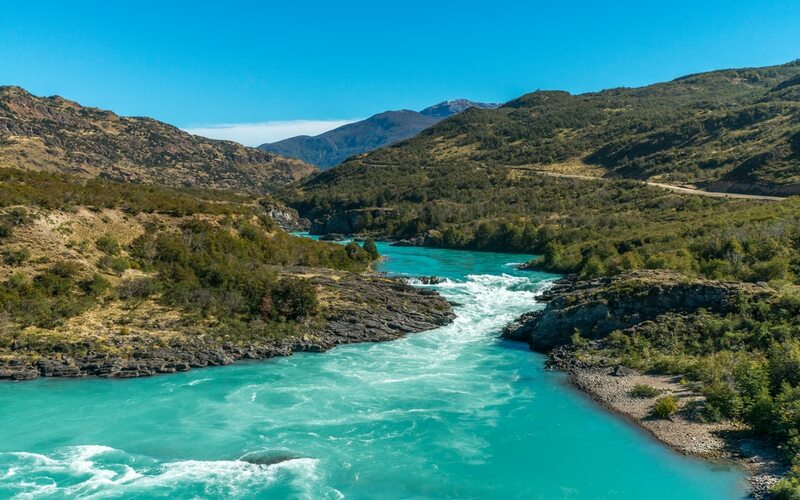 Whichever way you choose take your time stop on the way and explore some of the parks, Chilean Patagonia will surprise you with its incredible beauty and wilderness. One of the few places in the world where you can see so many turquoise lakes, hanging glaciers, waterfalls and mountain rivers. A trip to Easter Island is the most expensive trip you can do in Chile. the island located 3500km away from the mainland, the nearest inhabitant place is Pitcairn island more than 2000km away. Just to get here is an expensive mission especially in season between December and February. 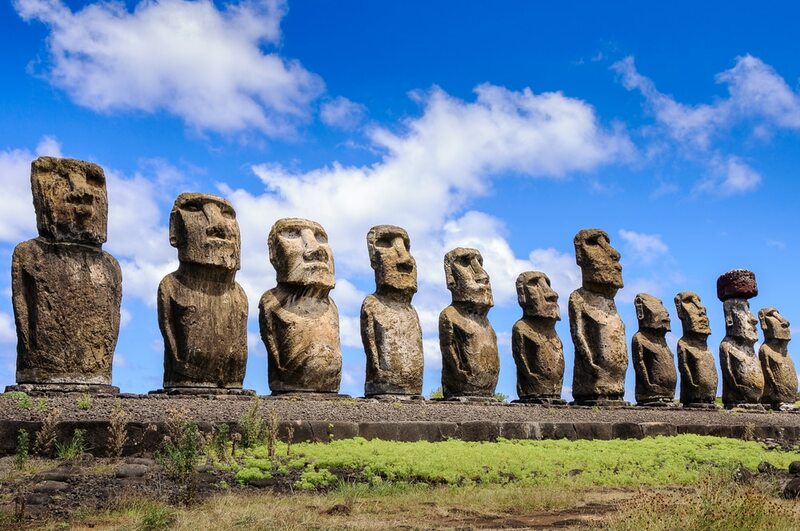 The island got its world fame because of the stone statues moai that were built by Rapa Nui people back in 700 – 1100AD. First Europeans arrived here on 5th April 1722 on Easter Sunday that’s why Easter Island got this name. The only way to get here is to fly there are daily flights from Santiago, prices start from $400 return. Valparaiso is the art capital of Chile. Valparaiso is an art capital of Chile and the best place in the country to spend New Year´s Eve though it’s a very popular destination for the end of the year and you must book accommodation far in advance. The city sits between on the hills by the ocean to get to some barrios (neighborhoods) you need to take a cable car. 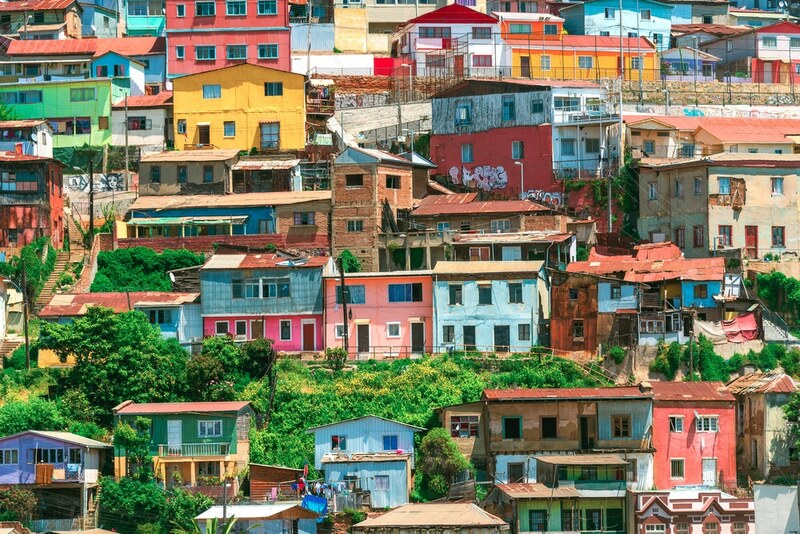 Colorful and vibrant with endless stairs and houses climbing uphill Valparaiso is an amazing place to explore on foot. Best art areas of the city; Cerro Santo Domingo, Cerro Concepcion, Cerro Bellavista, Cerro Baron. Not to miss in Valparaiso Museo a Cielo Abierto (Open Air Museum) with 20 murals by famous Chilean artists. There are several daily buses to Valparaiso from Santiago and other cities. Santiago de Chile is the capital of Chile. 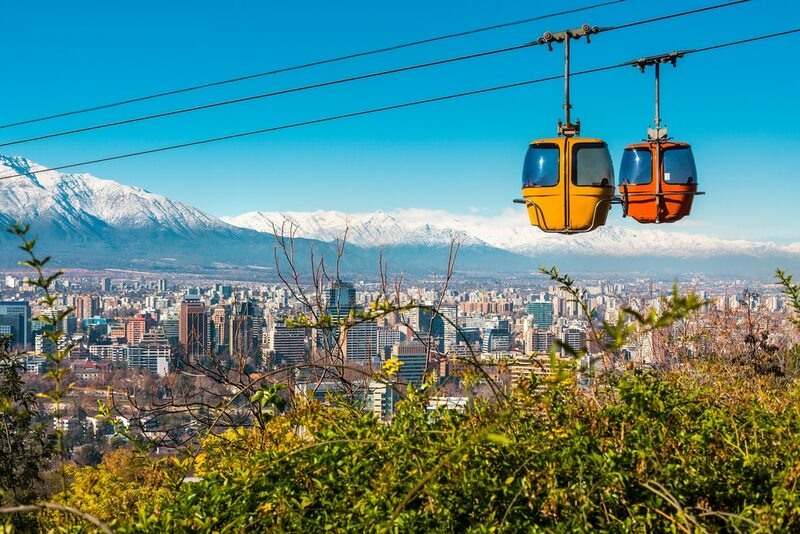 Santiago de Chile maybe loses to Buenos Aires (so-called Paris of South America) in its architectural beauty but definitely wins in the landscape, surrounded by the snow-peak mountains with several viewpoints from where you can observe the entire city. 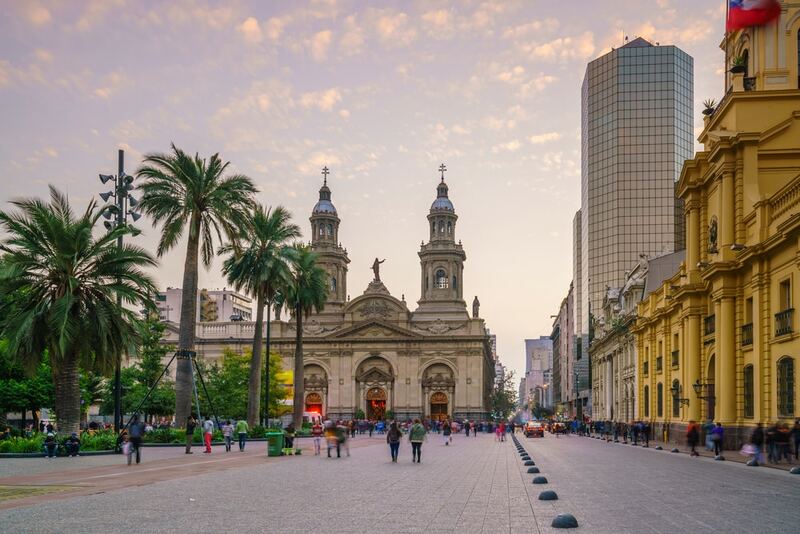 Must see sights in Santiago; La Moneda Palace, San Cristobal hill, Plaza de Armas, Pre-Columbian art museum, Metropolitan park, La Chascona (Pablo Neruda museum). Do not miss the Central market there is always fresh stuff for good prices. Santiago has a good public transport system and is easy to navigate. From here you can take a flight or bus to any other place in Chile. Pucon is a town in central Chile’s Lake District. 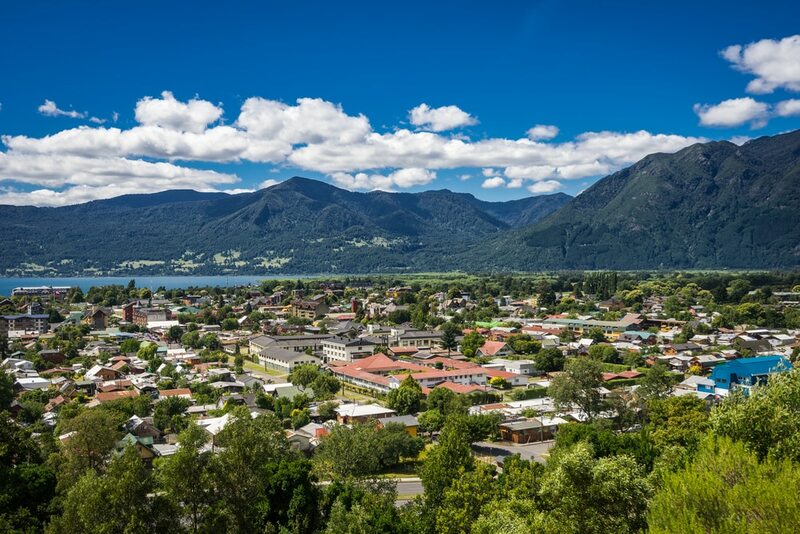 Pucon is a beautiful town with a stunning location at Villarrica lake with the volcano in the background, a popular weekend/holiday place for Chileans. In summer you can enjoy swimming in the lake, kayaking or water skiing. If you like hiking there are many day hikes to the impressive waterfalls. More adventurous can do a climb to the top of Villarrica volcano but you’ll need proper gear for walking in snow and ice. In winter it’s a popular place for skiing/snowboarding. Easy to get by bus from Santiago, takes between 9-10 hours. 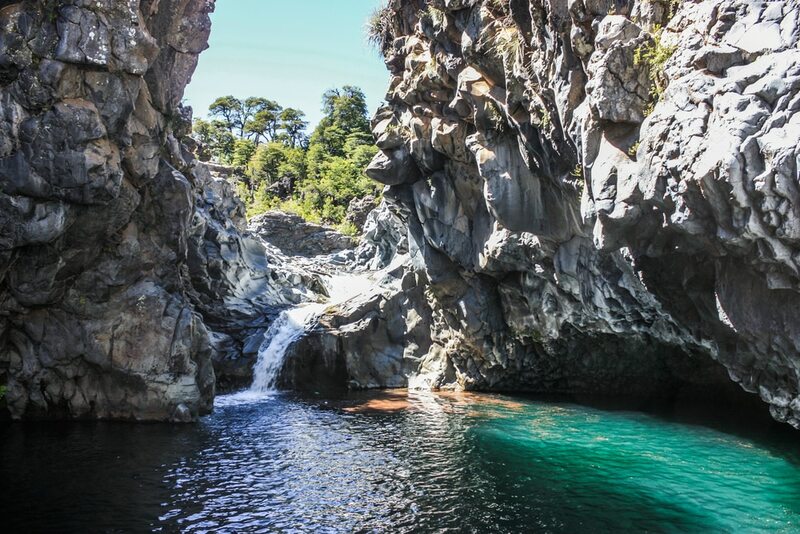 Siete Tazas is a national park located in Curicó Province. Siete Tazas an amazing surprise for foreign tourists, locals know about it and often go there for weekends from Santiago. Its name Siete Tazas (Seven Cups) comes from seven natural pools connected between each other with the ice-cold turquoise river passing through. Not to miss Salto de Leona (Lioness’s waterfall) with a beautiful small sandy beach. There are several short hikes in the park that take you through the indigenous forest of to stunning lookouts. The best way to explore Siete Tazas is to stay here for a couple of days there are campsite and cabins, if you stay there you don’t pay an entrance fee. To get here first take a bus from Santiago to Molina (a small town) from there take another bus to Parque Ingels. Chiloe Island is located in Southern Chile. 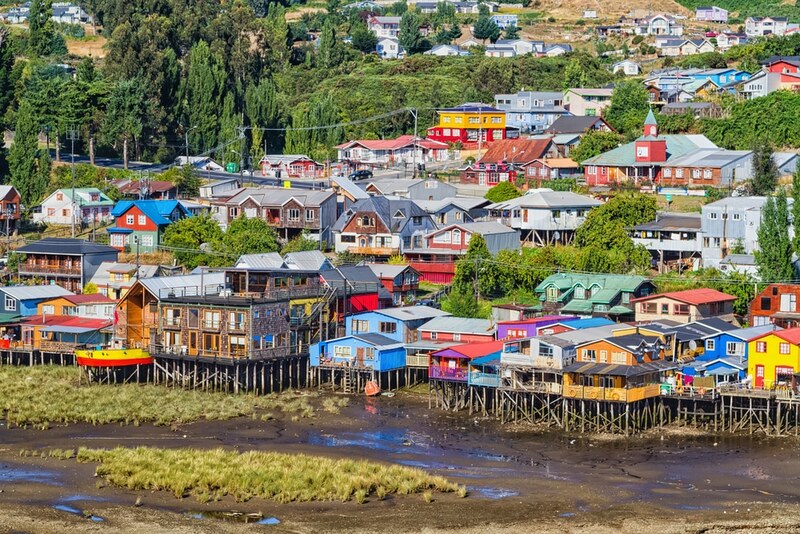 Chiloe island is another hidden gem of Chile, though the island is quite big. Chiloe has a unique culture, cuisine and UNESCO churches. There are two main towns Castro and Ancud, we liked the second more. The best things on the island are nature related; go to see penguin colony, hike in Chiloe National park where you can spot dolphins in the water, seals chilling on the beach or even pygmy glue whales. One of the things not to miss on Chiloe is to try Curanto a local dish cooked in a dirt-pit covered with leaves works the same way as a pressure-cooker, portions are quite big and enough for two people. There is a ferry connecting the island with the mainland, they leave from Pargua, every day from 6.30 am to 11 pm. O’Higgins Glacier is located in Southern Patagonia. 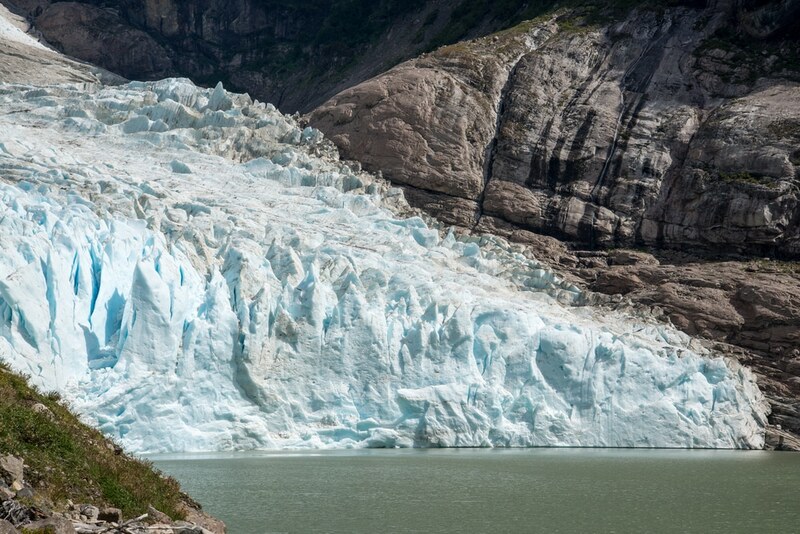 O’Higgins Glacier is hidden at the far end of Carretera Austral the only options to see it are to take a boat cruise from Villa O’Higgins or to do a 4-day hike. Either way gives you an opportunity to be one of the very few people who see O’Higgins glacier. If you decide to do a hike you won’t regret though sometimes it can be a bit tough due to unpredictable Patagonian weather, but as a reward, you get stunning views from the trail over turquoise O’Higgins lake and the blue-grey glacier. Unlike famous Torres del Paine very few people do this hike every year, though the trail is marked quite well and there are no dangerous animals in the area. 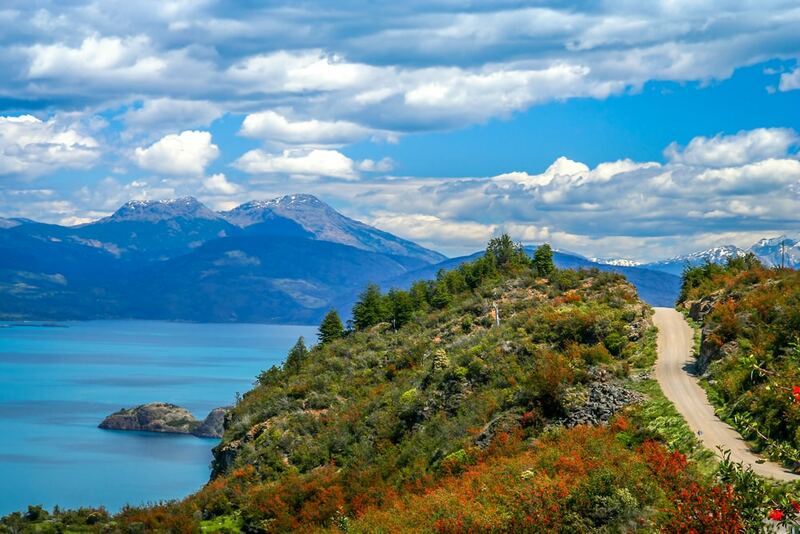 Due to its remote location, you can get here by cruise boat or by ferry both leave from Villa O’Higgins. What to do you think? Which are the best places to visit in Chile in your opinion? Have we missed some beautiful places in Chile on the list? Let us know! We’re Campbell and Alya, an adventurous travel couple that met surfing in the Philippines. Four years later married and still traveling. We’re based somewhere between Cape Town, South Africa and St.Petersburg, Russia, chasing summer and nice weather on both continents. We’re camping addicts and road trippers and like exploring the world’s best hiking and diving destinations and of course doing all the above on a tight budget. .Disclaimer: This post contains affiliate links which means I might earn a small commission when you buy a product/service via my link (at no extra cost to you). More about it here.